PLEASE - read the comments below this article. It is important. Looks like the restaurants changed its manners and you can go here only at your own risk. - Ok now we’ve hit typically miserable November weather so it’s time to share a place I’ve been keeping secret for a while. 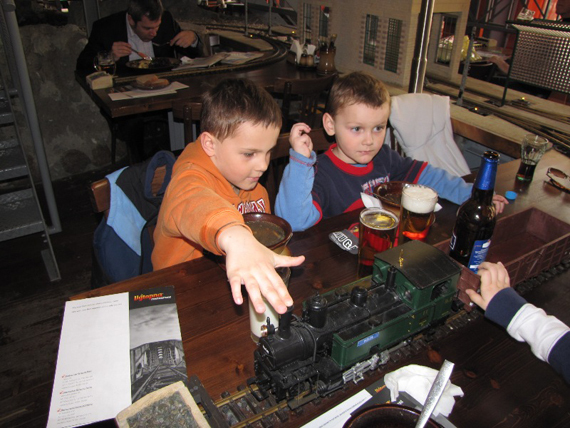 There is a fantastic miniature train restaurant in the middle of Prague that you and the kids will absolutely love. Guaranteed! 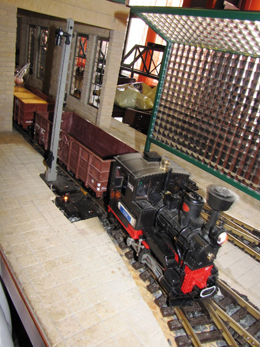 So a brief description, Vytopna (which translates as Boiler Room) is a restaurant where tables are surrounded by train tracks, bridges, villages and a fantastic collection of trains which are individually named. 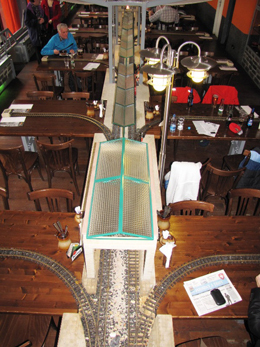 Every table has a track that runs into the middle of it and when you order a drink a train will arrive carrying your order. You can also deposit your empty glasses onboard. 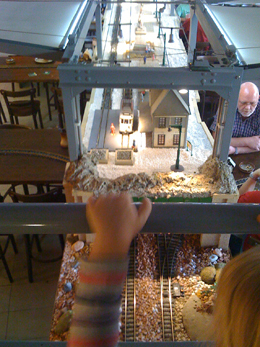 The busier the restaurant, the busier the train tracks become and you will be constantly passed by steam locomotives, electric trains and freight trains complete with sound effects. 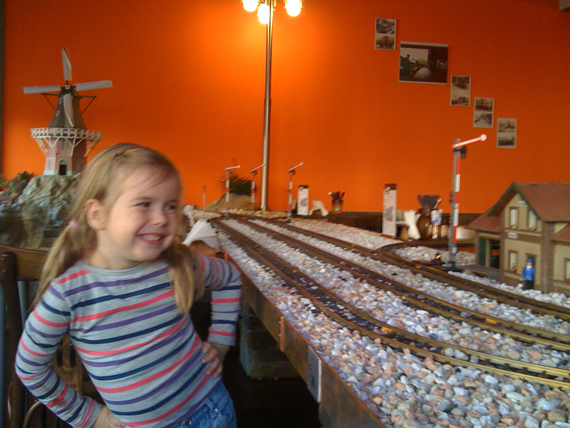 Lucie screamed with excitement when entering the restaurant and even when seated as she is a huge train buff - encouraged by my husband and my father (we have 3 train sets in our house)! She was given a child’s menu which doubles as a colouring in page, as well as a jar of coloured pencils. She could barely pay attention to her colouring in though, what with all the trains passing by regularly. The kid’s menu offer up 5 options and each is given a name - Trevor (pasta dish), Gordon (nuggets with mash), Toby (fried cheese with fries), Tomas (icecream sundae with smarties and jelly bears) and Neposlusny vagon (naughty wagon: hamburger with chips). Dishes are priced between 55 to 79czk. Adult food is typically czech - David had Snitzel and I had some salmon - food was fine but nothing special. It’s worth noting that they have a daily lunch menu which is good value. Drinks were the fun part - I couldn’t help but order another large draft beer - it really was fun having a little engine pull up to your table. Vytopna is on the first floor of Palac Fenix and looks out over Vaclavske Namesti, the location is very central and it’s nice having another family friendly option in this part of town. There is a corner set aside for large bookings - I’d say at a guess the table would seat maximum 20 people - ideal for an older child’s birthday. 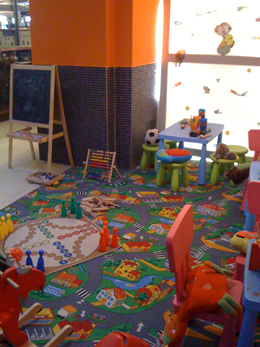 There is also a fairly decent sized kids corner stocked with games and art supplies. I’d say this place could be quite busy at weekends and especially so at this time of the year when the weather is horrid and many Prague families abandon their chata. Best would be to book in advance to avoid disappointment, otherwise you could do what we did and just turn up for an early dinner mid-week. I really love this place and couldn’t wipe the smile off my face. I also seriously want to take a few friends here for drinks before venturing to retro disco Lucerna which is conveniently a few buildings down. I must add that this is the third Vytopna in Czech Republic - the very first opened in Brno and another one in Orlova, Ostrava - so if you live in or near either of these towns go check them out! So along with Marina Grosetto we now have two new exciting places to entertain kids over these challenging winter months. 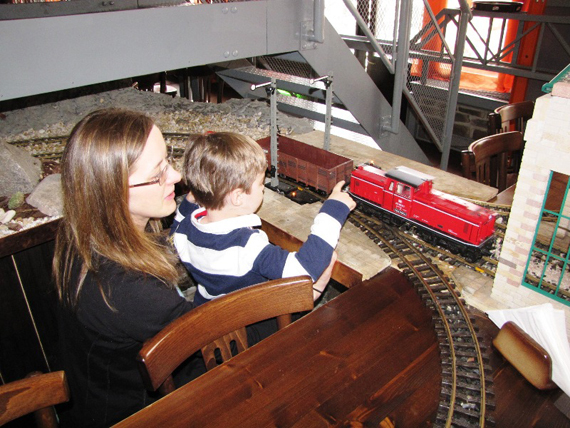 So which gets our vote this weekend… the train or boat restaurant? DIRECTIONS: BY METRO: Take the green line A to Museum and walk to Palác Fénix (which has a KFC at street level). 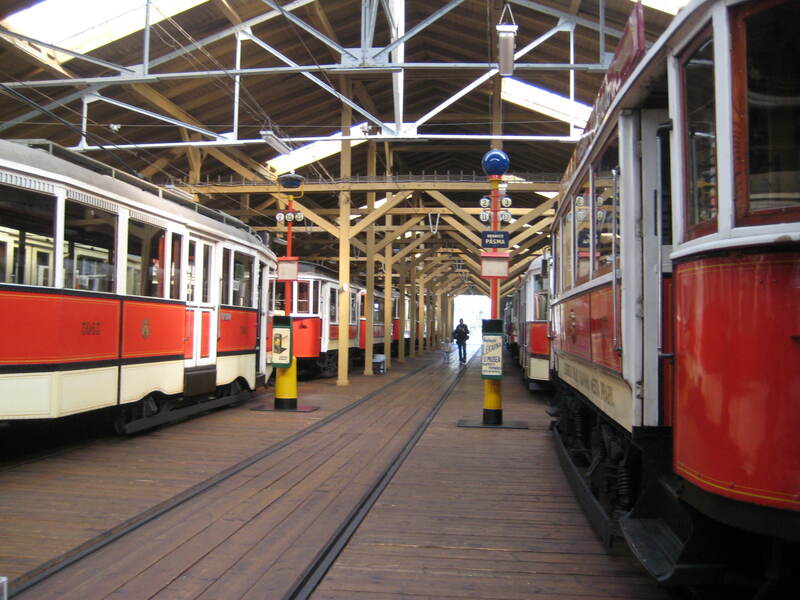 BY TRAM: Take tram number 11 to Museum or 3, 9, 14 or 24 to Vaclavske Namesti. BY CAR: Paid parking is available in Vaclavske Namesti and opposite the State Opera.